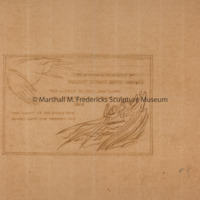 Sepia print of study for "Philip Smead Bird Memorial"
Sepia print of study for plaque with text, angels and hands of God. 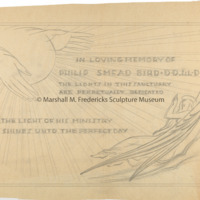 Text reads "In loving memory of Philip Smead Bird D.D.L.L.D. The lighting in this sanctuary is perpetually dedicated 1953. 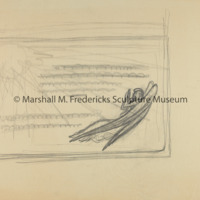 The light of his memory shines unto the perfect day." 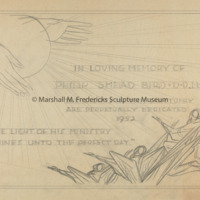 Sketch for "Philip Smead Bird Memorial"
Sketch for plaque with text, angels and hands of God. 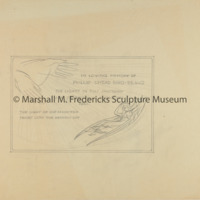 Text reads "In loving memory of Philip Smead Bird D.D.L.L.D. The lighting in this sanctuary is perpetually dedicated 1953. The light of his memory shines unto the perfect day." 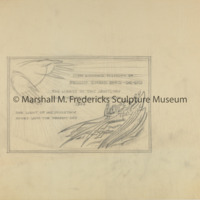 Study for "Philip Smead Bird Memorial"
Study for plaque with text, angels and hands of God. 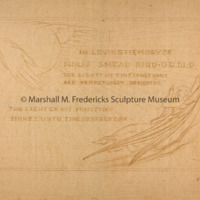 Text reads "In loving memory of Philip Smead Bird D.D.L.L.D. The lighting in this sanctuary is perpetually dedicated 1953. 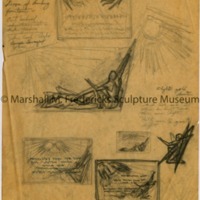 The light of his memory shines unto the perfect day."